Printing family notes allows you to print data from the Notes tab of the Family Profile page. 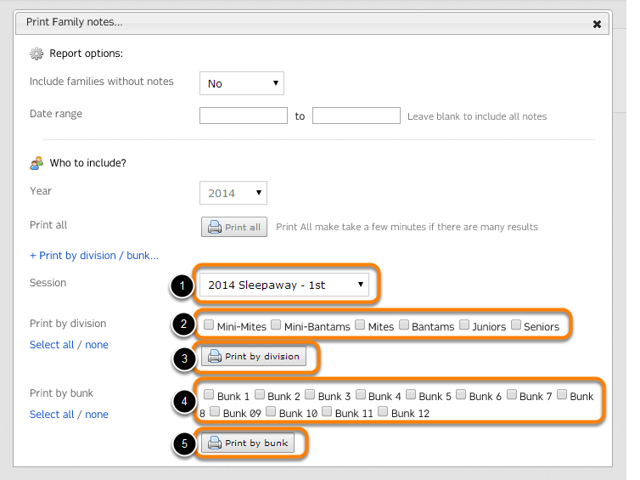 Family notes can be printed as a mass list of all families with enrolled campers, or by division or bunk within an individual session. 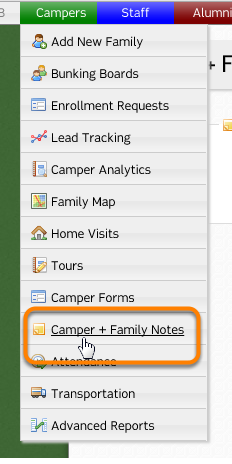 To print Family notes, select "Camper + family notes" from the Camper dropdown menu on the navigation bar.